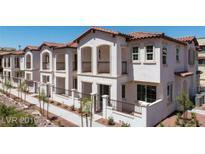 Below you can view all the townhouses for sale in the Ladera Villas subdivision located in Henderson Nevada. 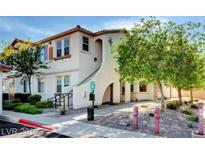 Listings in Ladera Villas are updated daily from data we receive from the Las Vegas multiple listing service. To learn more about any of these townhouses or to receive custom notifications when a new property is listed for sale in Ladera Villas, give us a call at 702-323-5903. WELCOME HOME ~ 3 beds, 2 baths, 1 car garage, spacious downstairs unit, open kitchen w/ white appliances, upgraded carpet/tile floors, plantain shutters throughout, large master bedroom w/ walk in closet, ceiling fan, covered patio access, master bath w/ dual sinks & shower, washer/dryer, detached 1 car garage next to unit, gated community w/ roving security, community pool/spa, located near top ranked schools, shopping, dining & entertainment. MLS#2088740. Black & Cherry Real Estate. Covered balcony and HUGE Master bedroom w/walk-in closet, dbl sink in master, Eat-In Kitchen w/solid surface counters, appliances, and pantry. Must see.. MLS#2088747. Vylla Home. Gorgeous Townhome In Gated Community With Attached 2-car Garage*community Pool & Spa*newer Paint*tile In Traffic Areas*granite Kitchen With Breakfast Bar & Upgraded Cabinetry*all Appliances Included*large Master Suite With 2 Closets, Balcony, Garden Tub & Walk-in Shower*nice-sized Guest Bedrooms*large Loft*upstairs Laundry Room*storage Under The Stairs*alarm System*private Patio*great Location Near Brand-new Retail & Restaurants*ez Access To 215* MLS#2087958. LUXE International Realty. Stunning modern townhome just 1 year new!Gated front courtyard patio w/open flr plan,gorgeous luxe colors&finishes,designer lighting,stainless kitchen w/granite island&quartz countertops,fab mastersuite w/dual sinks,dble shower,huge walkin closet& balcony,2 car gar,even front load washer/dryer&3-door frig.Gated community w/pool/spa/bbq/clubhouse.Across from fab 100acre park w/lake,perfect to call home,2nd home/investment.1-Of- A-Kind,Won’t Last! MLS#2087307. Keller Williams Southern Nevada. 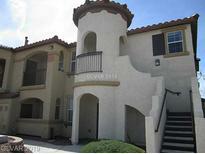 *HOA will be painting exterior later this year* MLS#2080882. eXp Realty. 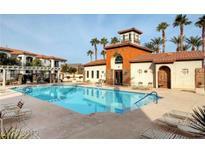 Community Features Pool & Spa, And Is Conveniently Located Near I-215, Shopping, & Schools! MLS#2081644. BHHS Nevada Properties. Super modern 3story/3 BR/3.5 bath townhome featuring gorgeous rooftop deck w/incredible city & mountain views/Located close to GVDistrict/Near shopping/restaurants/ inside a luxurious gated community/Kitchen features granite counters, breakfast bar, nook & the SS appliances are included(check out the fidge)/Master w/walk-in closet & 3rd on their own floor/large 2ndBR on 1st floor has it's own bath/Fenced backyard/End unit/Much more! MLS#2081316. Urban Nest Realty. Large kitchen with granite counters. Adjacent, is the great room. MLS#2081216. Coldwell Banker Premier. Gated community with pool, spa and clubhouse. You will not be disappointed. MLS#2079248. Property Search Vegas LLC. Water Utility Is Included In Hoa Fee Too. MLS#2073474. Coldwell Banker Premier. This home also boasts 3 bedrooms, 2 baths, 1 car garage, stainless steel applicances, new carpet, fresh paint, huge master bedroom, walk-in closet, double sinks, & is perfectly located near the pool - total home warranty plan included thru 1/30/2020 MLS#2070156. Simply Vegas. Trash & recycling, pool, and a clubhouse are part of the La Tesoro II HOA. MLS#2072486. Opendoor Brokerage LLC. Upgraded hardware and light fixtures t/o! MOVE IN READY! MLS#2067551. Maxim Properties. Beautiful community pool and spa are close by the home. MLS#2065991. Key Realty Southwest LLC. Master Has Large Walk In Closet And Dual Sinks. Washer And Dryer Included. MLS#2062612. Realty ONE Group, Inc.
Community amenities include gate, pool & spa. MLS#2060790. Xpand Realty & Property Manage. Welcome home to this fabulous gem in Henderson that features 1856 sqft, 3 beds + a loft, tile floors on lower level & newer carpet in bedrooms, custom 2 tone paint, ceiling fans throughout, granite counters, stainless steel appliances, upstairs laundry, massive master bedroom w/ walk-in closet & balcony that overlooks your semi-secluded backyard, 2 car garage, & in a gated community w/ community pool/spa, & just steps away from Cornerstone Park! MLS#2058998. LVsweetHomes Realty. Near shopping/restaurants. End unit. DON'T MISS! MLS#2058543. Offerpad. A community pool and spa are part of the HOA. MLS#2047474. Opendoor Brokerage LLC. Heart Of Green Valley Near 215! Energy Star Plus! 9' Ceilings! MLS#2046592. Go Global Realty. Huge master with patio, walk in closet & dbl sinks. MLS#2021511. Shamile Touche.